Germany, France, and the UK may not come to mind as incubators for African American sacred music. But in fact there’s a long standing history of American Spirituals and gospel music making waves in Europe dating back to the late nineteenth century with the Fisk Jubilee Singers (pictured above). The group received praise from Queen Victoria herself, who was so moved by the Fisk Jubilee Singers that she commissioned a floor-to-ceiling sized portrait of the musicians as a gift. With the advent of gospel music in the 1930s, artists like Mahalia Jackson, Sister Rosetta Tharpe, and the Golden Gate Quartet gained popularity abroad as well. Gospel musicians performed across the pond where they found new audiences along with new economic opportunities. But it wasn’t just the money that brought musicians over. Black Americans artists experienced a freedom unknown to them in the United States. While in Europe, Black Americans weren’t subjected to the same segregation laws and vehement racism. Some musicians like the Golden Gate Quartet decided to relocate permanently. In this piece listeners will hear will hear about the conditions that drew gospel musicians to Europe and the music that captivated foreign audiences. They will hear from Paul Brembly of the Golden Gate Quartet, Jean Carpenter from the France-based group the 100 Voices of Gospel, Reverend Joe Williams of the Dixie Hummingbirds, and scholar Gayle Wald. 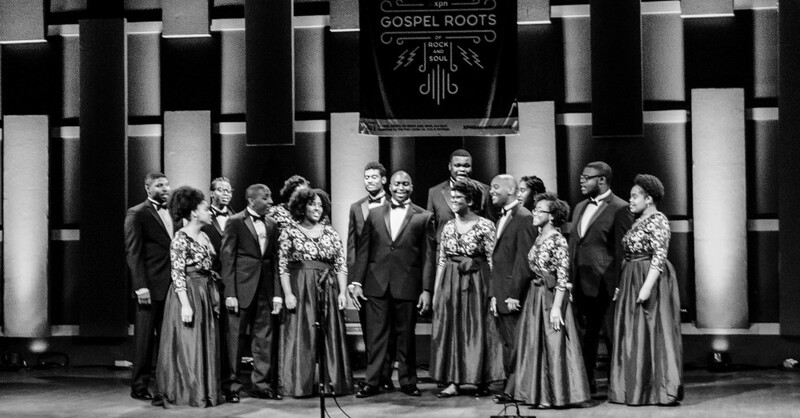 The piece features music from the Fisk Jubilee Singers, the Golden Gate Quartet, the Dixie Hummingbirds, Sister Rosetta Tharpe and the 100 Voices of Gospel. Listen in the player below. This audio piece was produced by Rachel Ishikawa for WXPN’S GOSPEL ROOTS OF ROCK AND SOUL.